Highlands Fine Art & Estate Jewelry offer an extensive selection of estate and modern jewelry, watches and art glass from around the world…. Estate Jewelry has something for everyone. Offering art glass from over 40 artisans from around the world. Contemporary, and global flair shows in each piece of modern, estate jewelry and watches we offer. Specializing in the purchase and sale of Estate and Modern Jewelry. European, Canadian and American Art Glass from over 40 artisans, such as: Gartner Blade, Rolling Karg, Thompson, Kenny Pieper, Rosetree, Axiom, Vitrix, Murano, and many more. …Highlands Fine Art and Estate Jewelry showcases a large selection of estate, vintage, and modern jewelry including a generous selection of pre-owned Rolex, Cartier and other fine watches. The selection between vintage and modern timepieces, including Michele and Ball, makes our store a must for anyone looking for a watch with a modern or elegant touch. 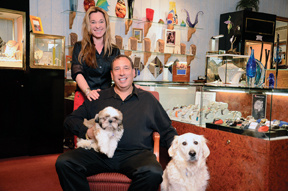 …Owners Joe and Claudia Lazow bring touches of Palm Beach flare and European designs combined with the relaxed atmosphere of the mountains to their shop and to their customers. 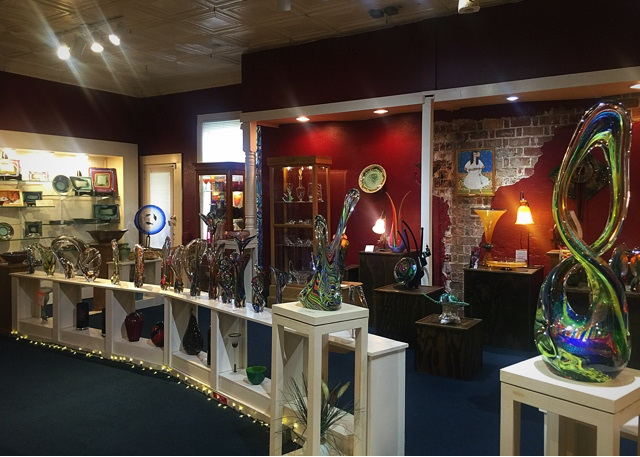 Highlands Fine Art and Estate Jewelry is also a modern glass gallery, specializing in European, Canadian, and American art glass. Their glass collection represents some of the best glass artisans in the world. …and are shopping for fine art glass, diamonds, watches, modern or estate jewelry, come see us at Highlands Fine Art and Estate Jewelry, where your diamonds are waiting. Highlands Fine Art and Estate Jewelry. Whether you are interested in purchasing art glass, estate or modern jewelry, a timepiece or you are interested in selling a vintage watch, jewelry, or diamonds, please give us a call. You may also submit your comment or question using our contact form below and one of our representatives will be in touch with you.